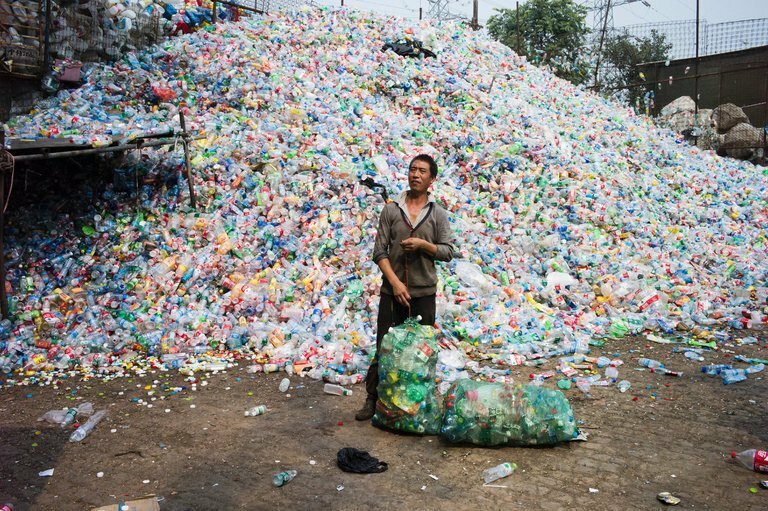 For the last 2o years, China recycled about half of the world’s plastics and paper products. While this helped supply its manufacturing boom, the country says it has had enough. In a filing with the World Trade Organization the country listed 24 kinds of “recyclables” it would no longer accept in order to protect “human health and the environment,” starting Jan. 1, 2018. Included in the ban are plastic waste, scrap metal, unsorted waste paper and waste textiles. In just under three weeks since the ban took effect, plastic is literally piling up around the world. Recycling center backups have been reported in the U.K., U.S., Canada, Australia, Ireland, Germany and several other European nations. 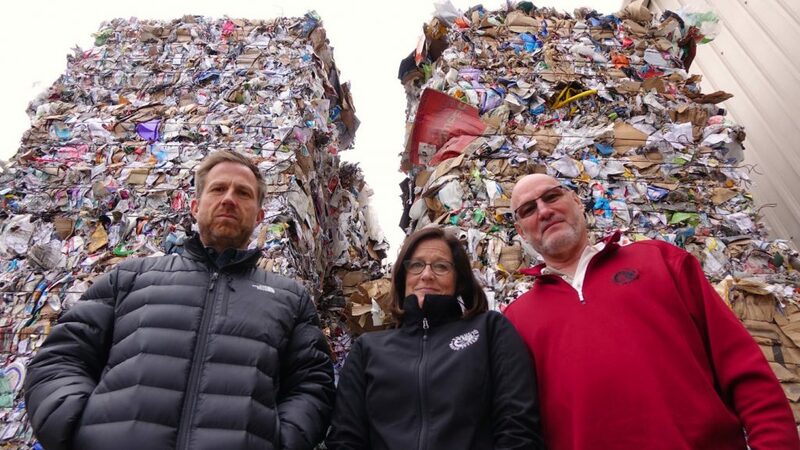 “My inventory is out of control,” Steve Frank, of Pioneer Recycling in Oregon, tells The New York Times. China’s ban has caused “a major upset of the flow of global recyclables,” he said. The U.K. has been especially hard hit as it previously exported two-thirds of its plastic waste to China. Rather than selling its plastic products, one London recycling center is now paying to have them removed. To avoid “mountains of plastic” many of Britain’s municipalities may have no choice but to incinerate or bury tons of it in landfills — both harmful to the environment. In response, the British government is considering a tax on single-use plastic items, like cups, food trays, utensils, etc. Prime Minister Theresa May pledged last week to eliminate avoidable plastic waste within 25 years and urged supermarkets to introduce plastic-free aisles where all the food is loose. The European Union plans to propose a tax on plastic bags and packaging, citing the China ban and the health of the oceans as reasons. The Myth and falsehoods of recycling come to the surface once again. 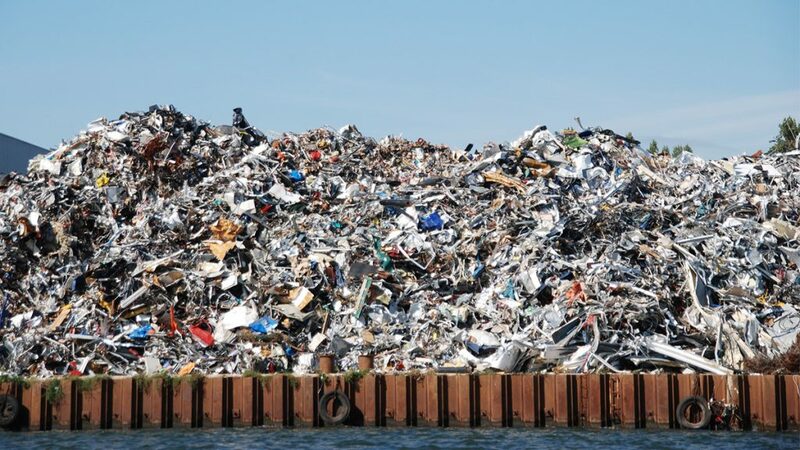 The manufacturers and consumers of many products certainly know items can in fact be recycled, yet they will not pay the cost in the short term and would rather pollute air, water, and land anywhere but in their back yard. Governments who develop rules and regulations support this kind of shuffle game since their longevity depends on letting businesses operate the way they do. Recycling has been a nice concept and yet in reality a falsehood propagated by business and governments around the world. There is a fix, but no one wants to fix it. It may make something more expensive because the items true cost is revealed. Yet, we live among an altered reality supported by corrupt government officials that have no care for the damages they support. You DO realize those of us of a certain age had recycling down pat. I remember the transition between glass , excuse my 5 letter word, it cut some of us to the quick ,all of a sudden the kids who made candy and pop money lost our jobs. Ah yes plastic was so great, no more deposit or returns. Then they came out with”pampers” and there went the cloth diapers out the window and that’s why in like 100 years someone might be tilling up their garden and will be able to see what your baby had to eat,cause that “pamper” will still be right there for all to see. Oh that’s right we can build islands of plastic that move throughout the 7 seas. I hope someone who can really make a difference sees and acts in Giai’s favor. But what’s the chance of that ? I would think the chance of smelling a fart in a hurricane has better odds. I know it can all seem so very hopeless. I feel that way most of the time looking at the younger generations but it is talked about a lot more than it used to be and some people are trying. We need to keep educating and keep pushing for the changes. The war cannot be won if it hasn’t been waged. Fine don’t take the recycling but stop with the crazy amounts of packaging that China exports arrive to our shores in. How much of this stuff originated in China. Yes we need to find another solution and once again the governments of our western nations are trying to shut the barn door long after the horse has bolted. I love the idea of no packaging “Bin In” in New Zealand let you fill your own containers years ago, now Bulk Barn in Canada is offering the same initiative. Choose one small thing each to do your part and support the businesses that are already trying. We can do this. Small correction – it is Bin Inn. i gifted my granddaughter a pack of cloth diapers for her new baby….she thanked me for the “burp cloths”! she didn’t even know what they were! when i explained that it takes 450 years for a pampers to disintegrate, she just laughed at me! i live in oregon and months ago, we we told our recycled stuff had to be cleaned before putting in the container (how many people do you think started washing their trash?). and now we were just informed that our recycling has been cut severely…no more of this, no more of that. so now we are just supposed to toss it in the trash. many cities and towns are now outlawing plastics, everything from plastic grocery bags, to plastic water bottles and even straws. but it is going to take some kind of massive miracle to change the pattern we have fallen into in any constructive way. yes, we can each do what we can but until our national govts around the world change the restrictions on corporations and retailers, there won’t be the slightest dent made. and here in the u.s. with our new EPA head gutting all the restrictions he can before his time is up, we have no hope! up! It’s being talked about more and more. More people are trying to do their part. We need to keep educating and keep pushing for the changes. The war can’t be won if it hadn’t Been waged! Why must we export? Is it so hard to have recycling facilities in our own respective countries? ya’ll know plastic melts/burns down to nothing right?